With the exceptional quality of our automotive maintenance services and with our regular money-saving promotions offered on battery services and other maintenance needs, Porsche Bethesda is your reliable resource to reach out to today. When you think about all of the components that are required for your Porsche to run smoothly and reliably, the battery may not be a part that quickly comes to mind. However, without a functional battery, your Porsche simply will not start. Just as you treat your other vehicle components to regular maintenance from time to time, you also must show your battery some attention in order to increase its longevity and promote uptime. While we can easily help you to care for your battery, remember that we also have diagnostics and repair or replacement services that may be used when an issue develops. After all, every battery will need to be replaced at some point, and we can provide you with fast, quality replacement service as needed. Porsche Bethesda is your top choice for all types of quality automotive services. You can always expect great things from us because of our solid commitment to superior workmanship, our focus on providing friendly service and our use of high-quality parts and components. Our certified technicians have the training and experience necessary to quickly and accurately maintain your battery, and we also can work on any other make and model that you own regardless of its age. Because some issues appear to be battery issues initially and actually are related to the ignition, the alternator or other components, we also offer services for repairs and maintenance on these components to promote your vehicle’s longevity and condition. There is no auto service request that we cannot handle for you. 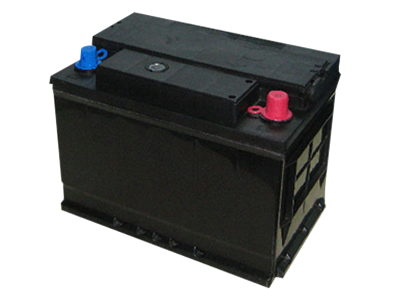 Some local drivers are not familiar with the steps that need to be taken to care for a vehicle’s battery. When you bring your Porsche or other make to us for battery service, we will clean components and ensure that the connections are secure. 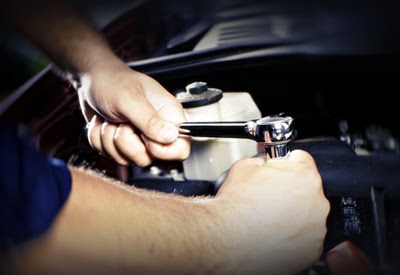 We can also connect the battery and related parts to a diagnostics machine to identify any developing problems. Remember that it is best to identify and repair issues as soon as possible and before they turn into a serious issue that costs a fortune to repair. 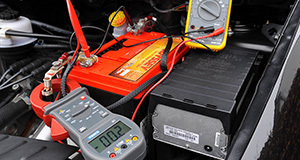 Maintenance service on your battery typically will not require the use of special parts, but we could identify the need to replace some parts that are damaged or wearing out. When we replace battery-related parts or any other parts on your vehicle, we always use original equipment manufacturer parts to ensure quality. These are the same parts that were originally included in your vehicle at the time of its production. Other service centers commonly use aftermarket parts, but these may not be as reliable or durable as OEM parts. If your battery has not been serviced recently or if you have noticed signs of trouble with your battery, now is a great time to reach out to our team at Porsche Bethesda. We are ready to help you care for your vehicle and to ensure your long-lasting enjoyment of it. To set up an appointment for any type of repair or maintenance service for your battery or other features, contact our office today.